Recovery is not an overnight process. Moving past active addiction is not like turning off a light switch. Addiction is but a symptom of deeper issues. Trauma, childhood, genetics, abuse, and low self worth all play a role in how addiction starts. Because addiction is so complex and intricate, incorporating several interventions into your recovery greatly increases your chance for success. Wraparound services refer to filling in the gaps of treatment. Inpatient treatment is a long respected and beneficial type of addiction intervention. However, inpatient treatment ends once you complete the program. What happens when you go home? Using doctors, therapists, and other professionals as part of your treatment team is highly recommended. Addiction entails more than the physical act of using drugs or alcohol. Addiction impacts your mind, body, and spirit. Addressing all areas of your life boosts your recovery. Addiction may have affected your physical or mental health. While going to meetings will keep you sober, going to a therapist and a doctor who are competent in addiction will help you heal inside and out. Wraparound services help get to the root of the addiction. Dealing with root of the problem helps prevent relapse. There are many different types of services available for addiction treatment. Adding other components to your treatment will be a benefit to your recovery efforts. Treatment and aftercare is more than only attending 12 step meetings. 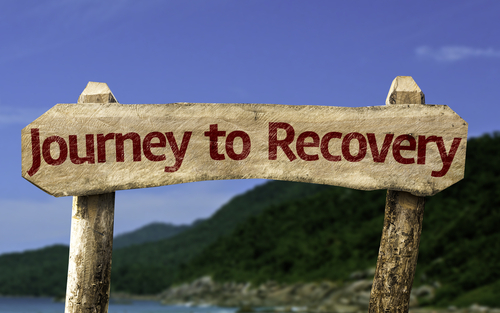 Recovery from addiction is a healing process. You need to heal physically and emotionally. Utilizing wraparound services is really self care. Addiction was the opposite of self care. Even though drinking or using may have started off pleasurable, the consequences quickly added up. Self care is critical to good recovery. The longer you remain sober, the more you will value times of refreshment and relaxation. Meditation, yoga, and mindfulness are examples of types of treatment that have more benefits than just health. These services help you to focus and stay in the moment, which is a valuable to for continued recovery. Hired Power is an expert in bringing compassion and experience into addiction treatment. If you want to know more about wraparound services, call Hired Power today at 714-559-3919. Hired Power is the ally you need to heal your mind, body, and spirit from addiction.